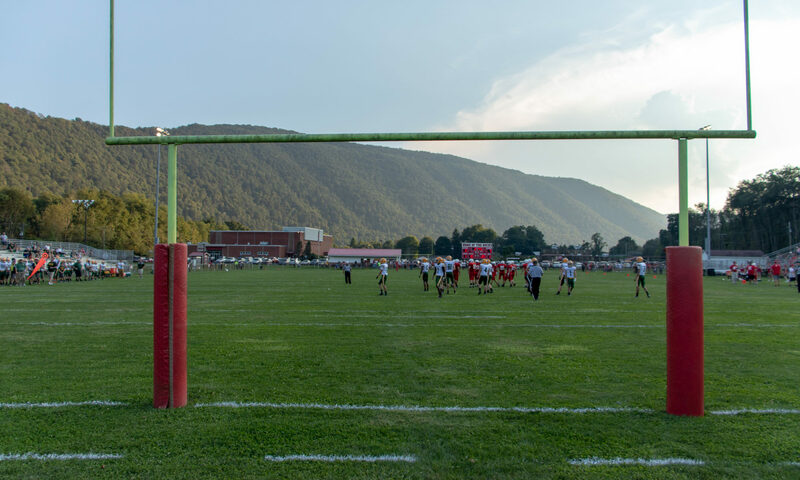 New York has a patchwork of high school football. The largest, and most notable association, is the New York State Public High School Athletic Association. Consisting of 11 Sections across the state, it covers almost all of the public high schools in the Empire State. The lone holdouts are the New York City schools, who are members of the Public School Athletic League (PSAL). Formerly, the Buffalo City Schools were also independent, playing for the “Harvard Cup”. But have joined in the past decade or so. Despite Long Island being NYSPHSAA members, the two sections–8 and 11–do not participate in the state football playoffs. 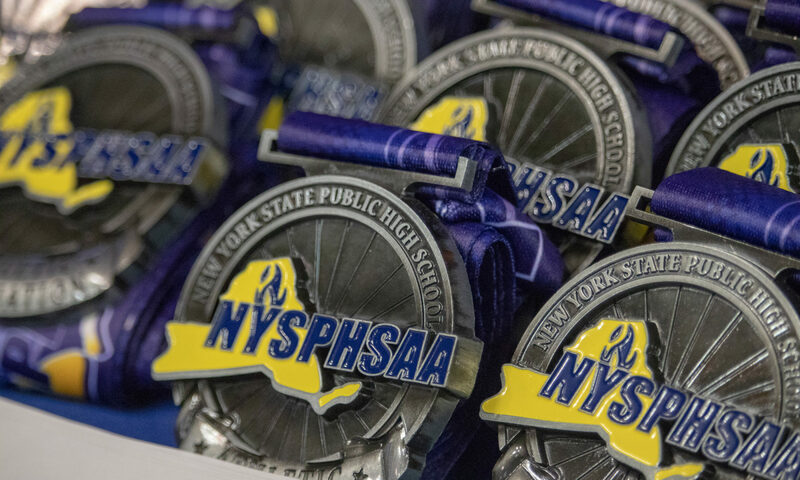 Instead, they contest the “Long Island Championships” the same weekend the NYSPHSAA contests the state finals at the Carrier Dome in Syracuse. Also, the two regional private school associations, the Monsignor Martin Athletic Association–covering Buffalo–and the New York Catholic High School Football League–covering the NYC area, hold their own playoffs and then contest a cross-state private school title game. Also, for the same weekend. Other private schools, in the middle of the state, are members of the NYSPHSAA, despite the PUBLIC being part of its name. Of the 9 Sections that compete in the state playoffs, the four big western ones hold a rather consistent tournament. While the five eastern sections have a more patchwork setup. The very small size of Sections 7 and 10 mean the 5 classifications have oddly laid out playoffs. And state playoffs are littered with bye weeks, as only 3 teams qualify for the eastern half of the quarterfinals. In the west, the Buffalo area is covered by Section 6, home to CSP and West Seneca East, while Rochester area is covered by Section 5, including Batavia and Rochester Aquinas. Section 3 covers the Syracuse area, and are the hosts of the State Finals. Section 3 also holds a Kickoff Classic and their Section Finals at the Carrier Dome as well. And Section 4, covers the area south of Syracuse, including the Elmira/Binghamton areas of the state. All four sections conduct their section finals for all five classes on the same weekend. Their state quarterfinals consist of Section 6 playing Section 5 in the “Far West” regional. And Section 3 and Section 4 contest the “Central” regional. The “Far West” regionals were held over two days at Clarence High School, just outside the Buffalo area. While the Central regionals were held at Cicero-North Syracuse High School just outside Syracuse. The western State Semifinals were contested as five games over two days at Union-Endicott High School just outside Binghamton. The east, however, is much less consistent. With games over multiple locations, and not necessarily all contested in sequence as they are in the west. In previous years, many of the state finals were contested on Fridays and Sundays, as the stadium was not in use due to Syracuse Football. However, 2018 was a rare circumstance the games were contested on Friday and Saturday. The games kickoff in the warm positive-air pressure dome on Friday at noon. First with the Class D Championship. Clymer/Sherman/Panama, hailing from the far southwest corner of the state, is a co-op of three small, rural school districts that are competing in their fourth year as a co-op. The Wolfpack, as they’re known, came into the championship ranked #1 in the state, and were undefeated with their first sectional championship and state playoff appearance. Moriah (pronounced more like Mariah Carey than Maria), called Fort Henry home in northeast New York. A 471-mile distance between Fort Henry and Clymer. The Vikings came in with a blemished record, and a chance to play giant killers. The Vikings held their own through the first quarter, content with a tie as the Wolfpack stumbled through the first stanza. But, very quickly in the 2nd, CSP connected on a 32-yard TD pass to take the lead. A lead they’d hold the rest of the game. Despite the slim, 7-0, deficit, Moriah never really contested the game. A slew of mistakes by CSP were keeping them in the game and casting doubt on the outcome. But the fourth quarter brought two quick touchdowns, a 39-yard pass and a 3-yard run, made it 19-0. An insurmountable lead for the Vikings to pillage. They did crack the scoreboard, only to be answered on their next possession, with a 14-yard interception return for a TD by the hungry Wolfpack. They’d hang on for the win, 26-6. It was the first state title for the CSP Wolfpack. Representing with pride, the Clymer, Sherman, and Panama communities. With the eventful fourth quarter, it made the second game kickoff a bit after their originally planned 3pm start. An ambitious schedule, to be sure. West Seneca East were looking to take after their neighborhood rival, West Seneca West, who had won the state title in 2017. The Cornwall Central Green Dragons had other ideas. But, early on, it was a bit muddled. They scored early on a 6-yard pass, only to see West Seneca East match it a quarter later, on a 4-yard run. Cornwall then missed on two different field goal attempts to go into the break tied at 7-7. West Seneca East Trojans converted a 65-yard TD pass late in the third to take the lead back. But, Cornwall wouldn’t be denied. A 16-yard TD pass tied it. And with 53 seconds left, the Green Dragons scored on a 1-yard run to take the lead and hold onto the championship, 21-14. The nightcap on Friday was the Class C final. Kicking off nearly an hour behind the schedule’s planned 6pm start. The Susquehanna Valley Sabers jumped out to a 21-0 third quarter lead, thanks to a 1-, 2-, and 1-yard touchdown runs. Dobbs Ferry finally scored in the fourth, on a 4-yard pass on 4th and Goal. But, the Sabers added one more score to ice the game and claim the championship, 27-6. That was it for Friday. Saturday would be the final two games of the weekend. Kicking off at noon, back at the Carrier Dome. The Batavia Blue Devils started the game on fire. A 14-0 lead, but at a severe cost. Their QB went down with a leg injury. But the backup came in on the first throw, connecting on that 46-yard TD to make it 14-0, thanks to a tipped ball and the benefactor running it in after snagging it from above the turf. But, Glens Falls started scoring. Taking a 21-20 lead at the half. 35-20 after three. And added three more touchdowns in the fourth, to run away with it, 55-32. The finale of the weekend, was the big school class. Class AA between Aquinas and New Rochelle. Kickoff scheduled for 3pm. An early finish for five games. The Little Irish opened with a quick touchdown, before then adding a second quarter score to take a commanding, 14-0 lead. However, the New Rochelle Huguenots scored with 90 seconds left before the break to make it 14-7. But, despite two long drives deep into Little Irish territory in the second half, the Huguenots were stymied with two devastating interceptions. However, they finally punched it in on a 5-yard run to tie the game. But, Aquinas went on a back-breaking drive, eating up half of the fourth quarter, to score and take the lead. A lead they’d hold as New Rochelle twice couldn’t move the ball and time ran out on their chances. Rochester Aquinas wins, 21-14. For more photos of this weekend, click HERE.